I am so honored to have the opportunity to interview Tony Award winner Ben Vereen just one month after seeing this legendary performer honor Chita Rivera at Shane’s Inspiration Benefit. Seeing these icons together is a moment I’ll always remember. ENCORE PERFORMANCE: Saturday, 12/1 at 7:30pm. ** Click here for tickets! Steppin’ Out with Ben Vereen is a showstopping evening of song and dance mixed with stories of his life, seasoned with insight and humor. He performs signature numbers such as: “Magic To Do” from Pippin, “Wait For It” from Hamilton, “Defying Gravity” from Wicked, Hair, Jesus Christ Superstar, Elton John’s “Your Song” and Bob Marley’s “Get Up, Stand Up,” including a tribute to Sammy Davis Jr. and Frank Sinatra. The evening will leave you inspired. For more on Ben Vereen visit http://www.benvereen.info and follow him on Facebook, Twitter, and Instagram! 1. This November you are doing a special Thanksgiving concert of your show Steppin’ Out with Ben Vereen at The Cutting Room in NYC. What are you looking forward to most about these shows? I call this my gratitude show and a celebration of life. It's a “A Wonderful World” that I get to share Thanksgiving with all of you. Let's give thanks for life itself. 2. What are some of your favorite Thanksgiving traditions? People, people, people, and more people, pursuing their dreams and feeling the gratitude of this special day. We are blessed. 4. You recently recorded "What a Wonderful World." In these tough times, what are some wonderful things about this world to you? The Arts, our children, the arts, our children - the arts will truly make this a wonderful world by giving them the opportunities that they deserve. My question to you and your readers is what are you doing to make it a Wonderful World today? 5. You are currently working on a new stage show. What can you tell us about it? It's a reflection of we as a people and what you've allowed me to experience in my career, what we've all gone through. Josh Bergasse will be directing and choreographing it. I expect to see you in the audience. 6. I recently saw you honor Chita Rivera at Shane’s Inspiration benefit at Carnegie Hall. You have had a lifetime of friendship with her. What is one special story about your friendship you can share with us you haven’t told before? Chita is my inspiration; her dedication, her discipline, her love for what she does inspires me and many others such as myself. She is also the Chairperson of the Art Attack Foundation which supports scholarships in all areas of the performing arts - the arts heal, uplift and bring people together - Bravo and Thank you Chita! In addition to his award-winning turn in Pippin, Ben Vereen’s Broadway career is studded with starring roles in Chicago, Fosse, Jesus Christ Superstar, Wicked, Hair, I’m Not Rappaport, Jelly’s Last Jam, Sweet Charity, Chicago, A Christmas Carol to name a few. He has appeared in many feature films, co-starring with Chris Rock in Top Five, Richard Gere in Time Out of Mind, and Laverne Cox in The Rocky Horror Picture Show. Ben also appeared in Funny Lady, All That Jazz, Idlewild, Why Do Fools Fall in Love, and others. His memorable television roles include “Chicken George” in ROOTS and “Louis Armstrong” in Louis Armstrong – Chicago Style. He has also made guest appearances on Webster, Hot In Cleveland, How I Met Your Mother, Grey’s Anatomy, NCIS, and Law and Order: Criminal Intent. 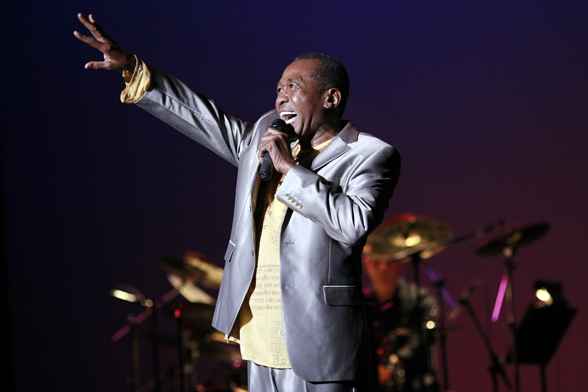 Ben Vereen, "Steppin' Out with Ben Vereen", The Cutting Room, Wicked, Pippin, Shane's Inspiration, Art Attack Foundation, Josh Bergasse, "Reflections", "Defying Gravity", "What A Wonderful World"